More creative design, record every moments of your life. 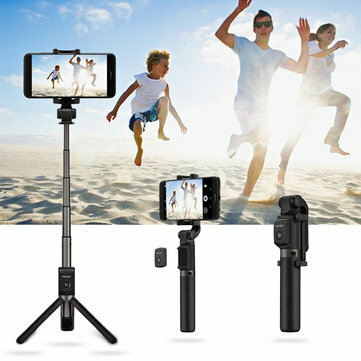 Support controlling up to 10m, free your hands, get the best shots and videos without stranger. Provide the perfect view angles, convenient to take pictures, enjoy the autodyne life. More stable and natural to take photos and record videos. After folded only 18.6cm, carry it easy and put anywhere you want, a bag or even a pocket.